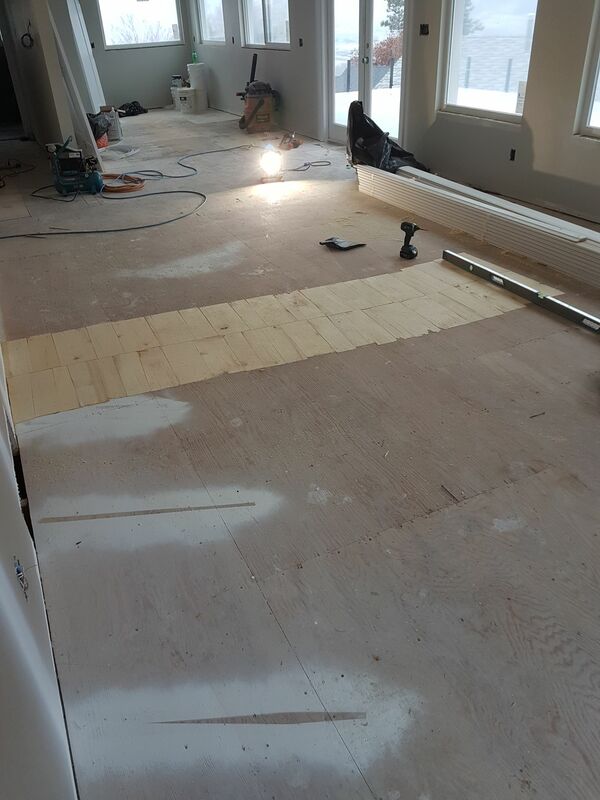 What procedure is preferred to fix some dips in a plywood subfloor before Hardwoods are to be installed. I have some areas a client wants me to level out that are approx 2 ft round 1/8 inch deep before an installer comes in. Older home and I believe the sub floor was installed to cover over an asbestos tile floor. I was going to take out my Ardex feather finish compound and feather out the areas BUT the flooring installer happen to show up to look at the job and said the staples will blow the leveling compound apart . Real hardwoods or manufactured hardwood? And be careful under that house. Wires everywhere. My best friend just got electrocuted shimming a pier under one about 6 months ago. Killed him instantly. I like using Luan which can be sanded to feather it, and for a thinner shim the cheapest Linoleum you can find. Scrap works. Staple it down some and the hardwood will keep it pinned in place. Some like to use roofing asphalt rolls...I don't. Last time I had to do that I used what was on the jobsite....Ram board in layers. I was on a job recently that required a lot of leveling. Contractor used 7/16 osb, stepped down with 2 layers of luan, stepped down to single luan, & to bridge between those steps, he used shingles. Came out good, but man he put a lot of work into leveling. Pinwheel as you are a Master at hardwoods, what would you consider an acceptable divot in the floor? I suppose it also matters over how long of a distance said divot is. Is there a general rule you follow? Joist crowned down between two crowned up. Cedar shingles with the wide ends meeting at the low spot. Glued down with PL, temporarily screwed until the glue set up and then power planed. Definetly a lot of work but beats having a rollercoaster floor.